So why is the weather the way it is? Find the answer with your little ones at Science City inside Union Station. Dig for dinosaurs, build a robot or take part in a massive tug of war. Yep, and find out what makes the wind blow. Dodgeball has received a bad rap in most public schools these days, but most kids and adults really love it. That's why the SkyZone Trampoline Park is busy all of the time, no matter what the weather. If not dodgeball, then how about a game of hoops played on a trampoline? Yep, that ups the challenge and the workout. Come in just to jump around or sign up for a fitness class. If lousy weather is in the forecast, make a reservation right now. SkyZone fills up fast. If you prefer your basketball game on a traditional polished wood court, there's no place finer than The College Basketball Experience downtown. It's all about fun with a little bit of competition here and there. Most weekends you can join in a pick-up game clinic on the full-size court, or simply challenge yourself with a free throw or three-point shot clock. Lower the basket for kids in your family or take the whole gang over to the kids area. The CBE is closed most Mondays and Tuesdays, but otherwise pop on by any day. It's a fun workout and great education. Admit it – there are few among us that don't harbor a secret desire to become a more skilled dancer. Is there anything more alluring than a Flamenco dancer? Except maybe a belly dancer or a couple moving to a nice salsa. Whatever your dance floor dreams, even if it's just to perform with a bit more grace at an upcoming wedding reception or class reunion, City In Motion Dance Theatre in Westport can help you achieve your toe tapping goals. From jazz and tap to hip hop and swing, City in Motion offers classes for people of all ages. You can sign up for a regular schedule of classes, or if you wake up tomorrow morning and it's pouring down rain, just drop in for any class for $15, no reservation required. Work through some of the stress in your life with a quiet afternoon of coloring and creativity. It's really designed to inspire kids, but adults love Kaleidescope at Crown Center as much as anyone. Round-tipped scissors, lots of colorful paper, crayons, glue and glitter—now that's the way to while away the hours on a rainy afternoon. A gift to the public from the folks at Hallmark Cards, Kaleidescope is very popular with families and school groups. Admission is free on a first-come basis. 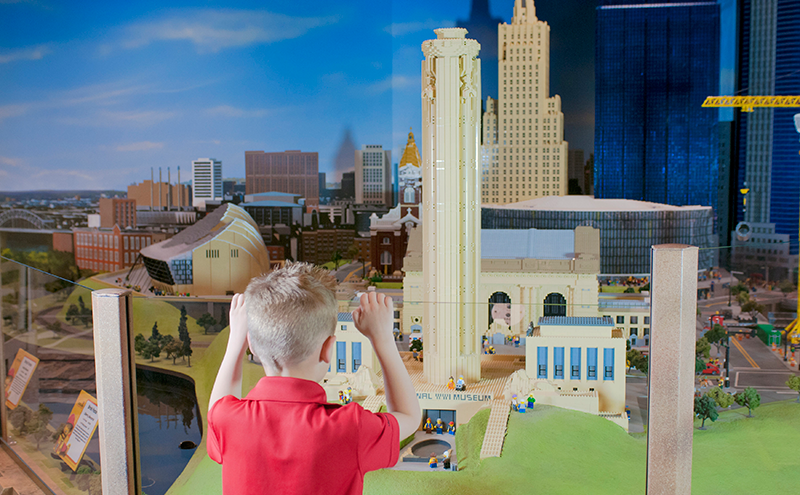 If sessions are full at Kaleidescope, feed your inner architect inside LEGOLAND Discovery Center, also at Crown Center. The Kingdom Quest Laser Ride is the coolest thing. You gotta do it at least twice to really get the hang of it. But every corner of LegoLand is cool. Play and create to your heart's content or hang around in one of the Master Builder classes for some serious instruction. No one will care if you're the oldest kid in the class. No matter what the weather outside, there's always ice inside at the Community Ice Rink at the Silverstein Eye Centers Arena in Independence. If you want to brush up on your skills at a nice quiet time when you won't be plowed over more talented skaters, come weekdays between 1 and 3 p.m.
Indoor waterparks are the ideal destination for inclement weather weekends. Kansas City has two that operate year-round – CoCo Key Water Resort on the east side of town and the Great Wolf Lodge on the west. Spend a couple of days or just a couple of hours. Both have lots of slides, games and pool sizes for all sizes, including an adults-only whirlpool. In addition to weather-related mood swings, Mother Nature also blessed Kansas City with an inordinate number of limestone caves. They are great as storage facilities and office parks, but they make even better paint ball fields. Located north of the river not far from Worlds of Fun, Jaegerz Lazer Tag is a 6,000-square-foot underground facility filled with fog, strobe lights and rockin' music. Take out your aggressions and act out your GI Joe fantasies underground in Kansas City. Kansas City’s wide assortment of highly rated, kid-friendly restaurants keep young ones happy and adults satisfied with authentic Kansas City flavors.